Amy holds a bachelor degree in Commerce from the University of British Columbia in Canada. She is a member of the American Institute of Certified Public Accountants. Amy joined our Corporate Recovery Department in 2010. Prior to joining the firm, Amy has been working in the advisory department of an international accounting firm for several years. 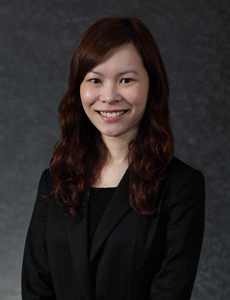 She has experience in providing Hong Kong and PRC tax compliance and advisory work for multinational and local companies in a wide array of industries. Amy has focused on liquidation and forensic accounting work since joining us. She immigrated to Canada when she was very young, and speaks native Cantonese and English, and reasonable Putonghua. Copyright © KLC 2019. All rights reserved.